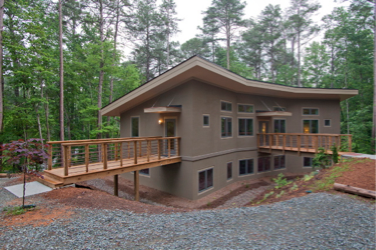 This house is the first certified Passive House in North Carolina. It is super-insulated and super-sealed so that it uses just a tiny fraction of the energy used to heat and cool a typical new house - yet has an abundance of fresh, clean exterior air introduced constantly. The primary entry is via a bridge to the front yard.